Commissions > Theatre > Matilda Ibini – A.I.D.A.N. Social care plays a vital part in lives across the UK and yet it is rarely depicted on stage or screen. 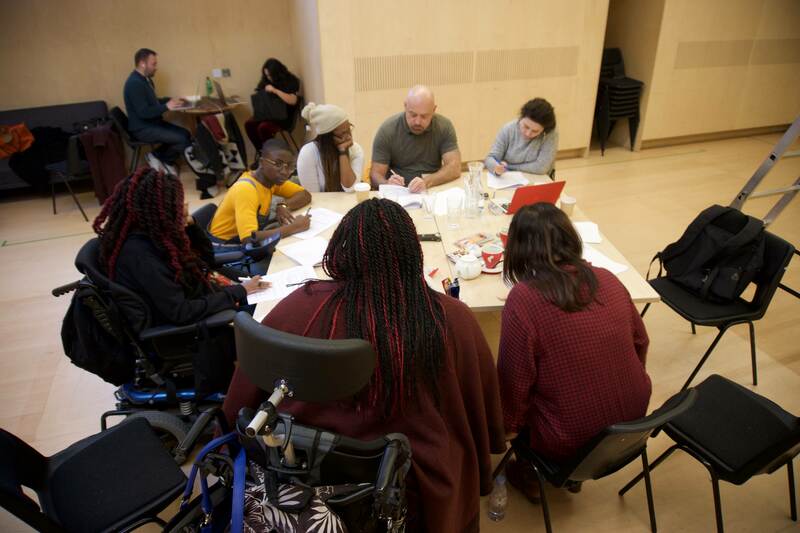 Matilda Ibini (writer), Jen Tan (director) and Amelia Stubberfield (theatre-maker) will incorporate the artist’s experiences of navigating the social care system and open the discussion out to other disabled people and artists for further interrogation. This R&D project endeavours to tell a story in a way that is highly theatrical in its form and integrates captioning as part of its DNA so it is seamless, dramatically engaging and can be enjoyed by the widest variety of audience members. The project explores AI Technology, communication, identity, ableism, gender, loneliness and isolation. Set in the very near future, AIDAN (Artificial Intelligent Domestic Android by NetechnoloG) tells the story of Zora, a disabled woman, who is allocated an AIDAN unit through a government scheme that aims to tackle rising social care costs. Her AIDAN initially displays controlling and ableist behaviour like that of its creators but through its AI learning, it develops a level of nuance and empathy with Zora which puts them at odds with the corporate and government structures that created the technology. This project is a Wellcome Collection Partnership Award.